HARTWICK - Richmond D. Field, 66, of Hartwick, passed away due to serious health issues Monday afternoon, July 24, 2017, at his home surrounded by his family. He was born December 1, 1950, at the A.O. Fox Memorial Hospital in Oneonta, a son of Joseph E. and Achsah G. (Fuller) Field. Raised in Hartwick, he graduated from Cooperstown High School with the Class of 1970. After working for a few years with Central Asphalt in West Oneonta, Rich went to work for the Town of Hartwick Highway Department. He was employed with them for over 30 years as a heavy equipment operator until his retirement 10 years ago. An avid outdoorsman, Rich loved hunting-especially for deer-and was a member of the Hartwick Rod and Gun Club. He also held Honorary Status with Hartwick Fire Department Co. #1 and enjoyed watching NASCAR races. On June 30, 1979, Rich married Sharon Prindle in a ceremony at the First Baptist Church in Hartwick. 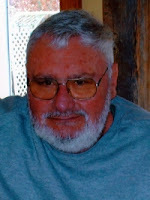 In addition to his wife of 38 years he is survived by his two daughters, Julie Marie Field of Hartwick and Melissa Lynn Wikoff and her husband Duane C. Wikoff of Davenport; two grandchildren, Peyton Grace and Joseph Charles Wikoff; one brother, Dennis C. Field and his wife Daphne Northcott of Merrimack, NH; two nephews, John and Thomas; a niece, Shannah; a great nephew, Samuel; two special friends, Thamar L. "Tim" Harper, Jr. and Eddie Skillen; and many cousins and family members. He was predeceased by his father, Joseph, who died June 7, 1984; his mother Achsah, who died March 13, 1988 and his sister-in-law, Joan Potter Field who died February 5, 2000. A graveside service will be offered at 3 p.m. Saturday, August 5, 2017, at Hartwick Cemetery with the Rev. Laverne H. Saxer, pastor of the Hartwick Christian Church, and the Rev. Richard D. Howard, pastor of the Hartwick United Methodist Church, officiating. Immediately following the burial there will be a time of refreshment and fellowship at the Hartwick Fire Hall. Memorial donations may be made to the Hartwick Emergency Squad, P. O. Box 208, Hartwick, NY 13348 or Catskill Area Hospice and Palliative Care, 1 Birchwood Drive, Oneonta, NY 13820.